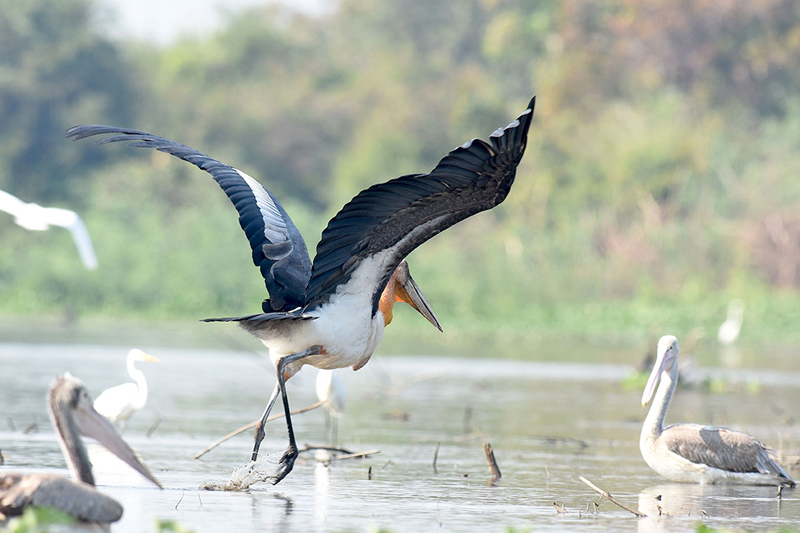 Discover the incredible variety of habitats and wildlife around the Siem Reap area, the from protected wetlands of Ang Trapaeng Thmor, home to hundreds of majestic Sarus Cranes and endangered Eld’s Deer, to semi-evergreen forests rich in traditional medicine plants, butterflies and birds. Camp by waterfalls, and explore the top of the mountain in Changkran Roy (or 100 stoves). area, a remarkable natural phenomenon. Wander outlying temples and explore Angkorian culture at the mysterious forest temple complexes of Koh Ker and Beng Mealea, bringing together the natural wonders with the history of the Kingdom of Wonder. Our tours are tailor-made – the itineraries shown are suggestions based on our deep knowledge, or we can work with you to create your trip for your unique requirements, interests, and capabilities. January – May are the best times for large waterbirds and Eld’s deer at ATT, but with interesting visitors and stunning scenery all year round! Leaving early from Siem Reap we travel 90 minutes to Ang Trapaeng Thmor Sarus Crane Reserve, a vitally important global site for these elegant, 2m tall endangered waterbirds, where we will spend much of the day. We can see up to 350 cranes at a time, along with Black-necked Storks, Greater Spotted Eagles and one of the best locations in the world to see the mighty Eld’s Deer as well as Jackals. In the late afternoon we drive to our safari camp at Varin for a night by the stunning waterfalls in semi evergreen forest. Today we make the trek to the top of the mountain at Changkran Roi – this incredible natural phenomenon looks like hundreds of traditional stone stoves. On our way we search for traditional medicine plants with our local guides and learn about their uses. This area has a stunning array of butterflies, dragonflies and birds which we will spot and identify on route. We will have breakfast on our walk, returning to the camp for lunch before spending a few hours around the basecamp waterfall, on the hunt for butterflies, insects and birds, or learning about traditional farming techniques with the local community, and visiting the village. We return the 1.5 hours to Siem Reap via an ancient Buddist temple at the base of the mountain. Picking you up 5:30am at your Siem Reap hote,l we travel two hours out to the outlying temples of Koh Ker and Beng Mealea. These little-visited temple complexes are stunning pre-Angkorian buildings said to be the template for Angkor Wat, surrounded by nature and quite a bit of birdlife. Traveling out through villages and fields, we take the opportunity to stop along the way for a packed breakfast and to spot some of the area’s unique birds – including many Woodpeckers and the beautiful White-Rumped Pygmy Falcon. Unlike most of the tours to the incredible 10th century Koh Ker complex, we start our explorations in the remote forest and rarely-visited outlying temples to discover the nature, wildlife, birds and incredible butterflies that live there, as well as the little known temples before heading to the main Koh Ker temple – Prasat Thom, where we have lunch at a local restaurant right in front of the temple site. By the early afternoon we will head back towards Siem Reap via the stunning Beng Mealea temple (one-hour drive), and explore this temple for about an hour before heading back to Siem Reap., arriving back at your hotel about 5:30pm. Additional day of visiting Angkor Wat for ‘temples and birding’ can be added. Where do you stay ? ATT is a vitally important place for Sarus Cranes, the tallest and most elegant of Cambodia’s waterbirds. 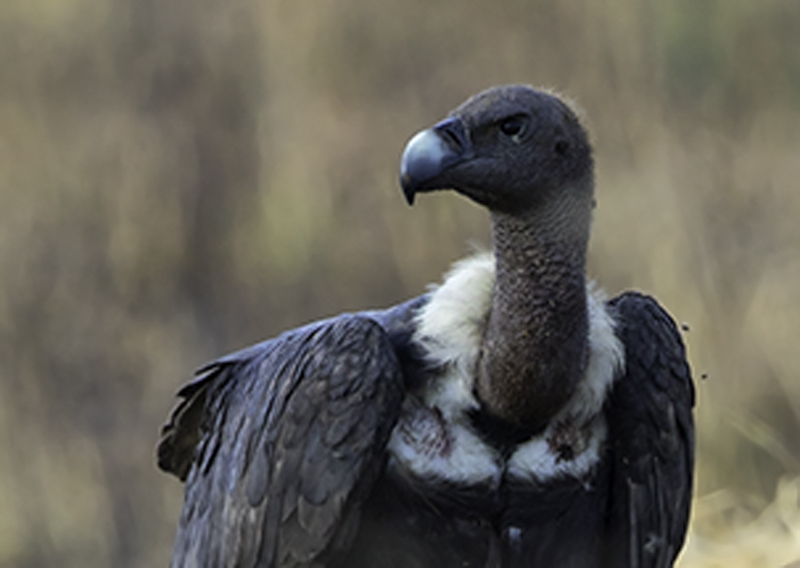 Between January and the end of March we see up to 350 of these majestic birds as they forage. 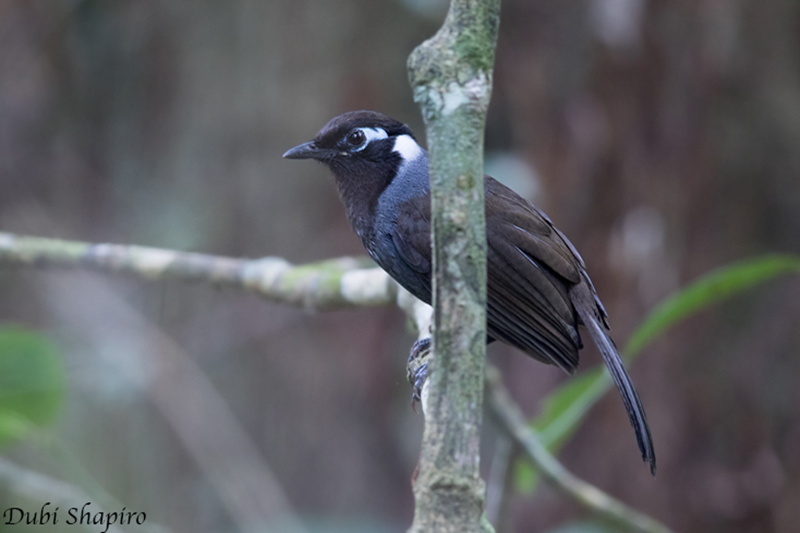 The now legendary SVC Birding SuperTour is back for 2018! This tour is a totally unique chance to go after all Cambodia’s critically endangered, endangered and endemic species and diversity of habitats. SVC manages wildlife viewing trips with exclusive access to Wildlife Conservation Society sites across Cambodia. We were registered as a local NGO with the Ministry of Interior in 2006. Our goal is to provide an alternative sustainable livelihood from ecotourism for the local communities at the sites that WCS prioritises for conservation. In return for the income and employment received they are asked to sign no hunting and land use agreements, which are monitored by Ministries of Environment and Forestry patrol teams advised by WCS.